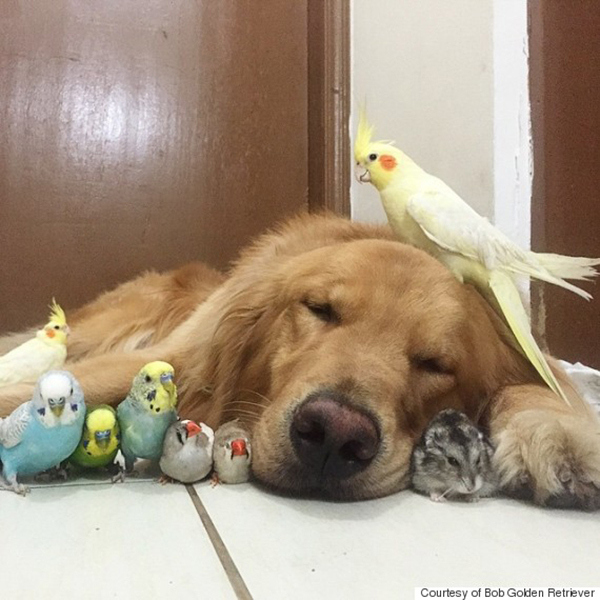 Home Animals Meet The Golden Retriever Who Has Some Very Unusual Friends! 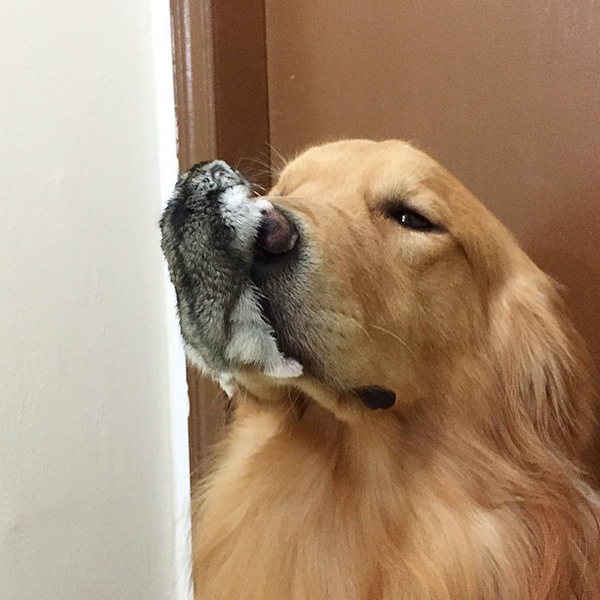 Meet Bob the dog. 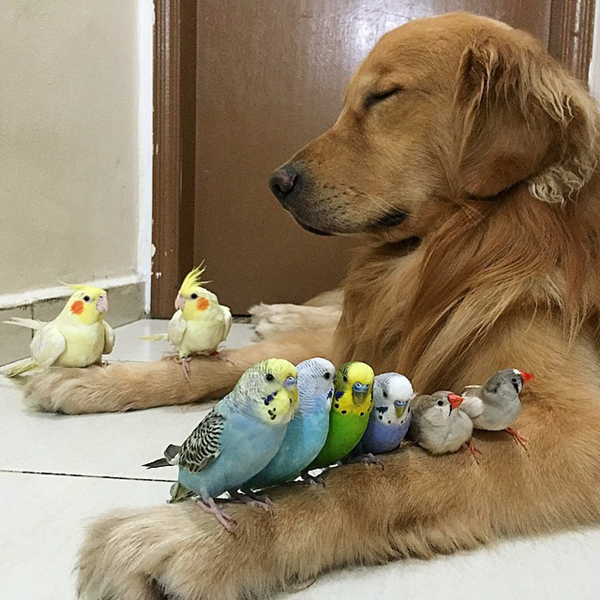 Bob’s not like a lot of dogs. Why is that, you ask? 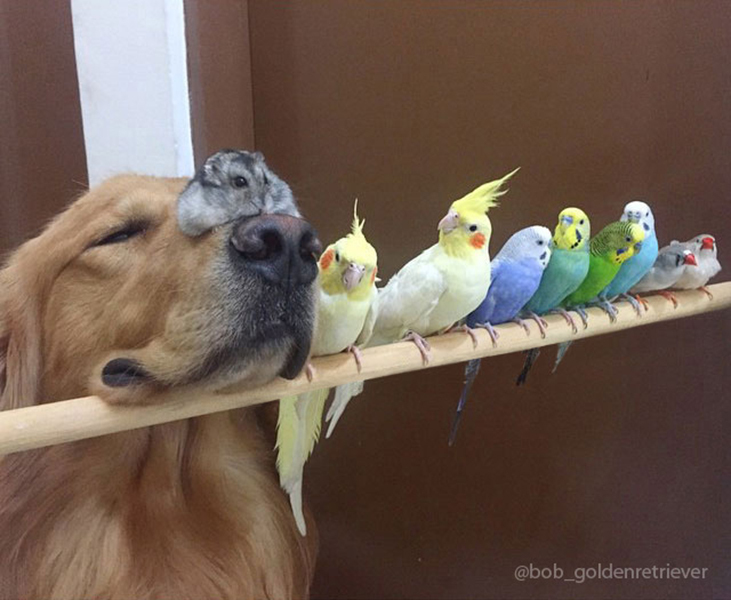 Well, unlike most dogs, Bob has a group of rather unorthodox buddies. 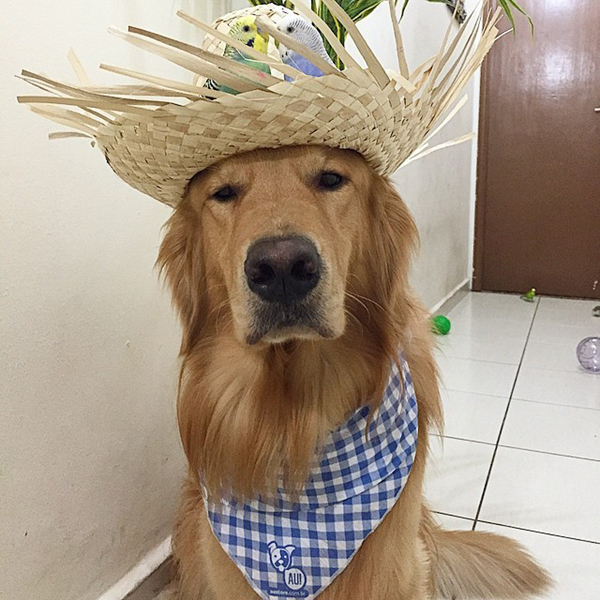 Bob is a Golden Retriever who lives in Brazil with his owner, Luiz Higa Junior. 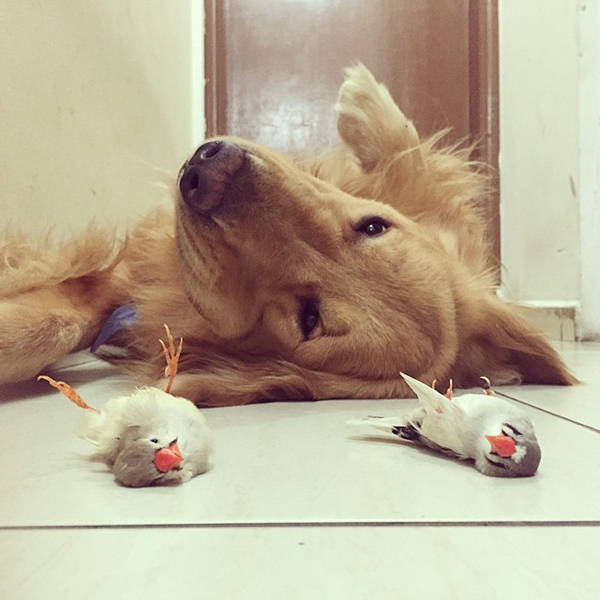 Luiz got Bob when the Retriever was four months old. 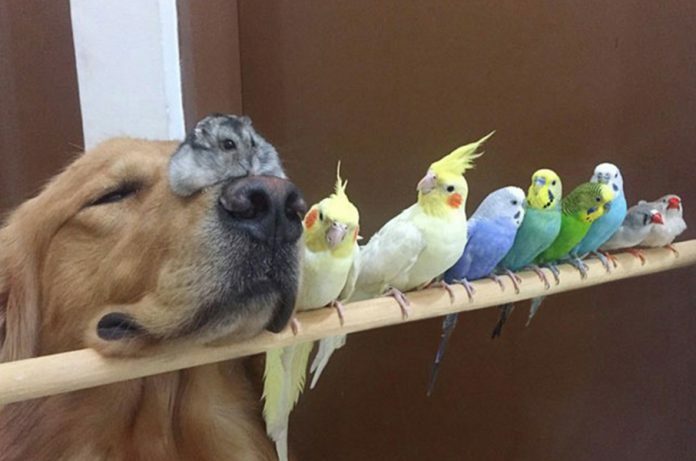 He had already acquired a cockateel and a parakeet, and Bob seemed to get on with them just fine. 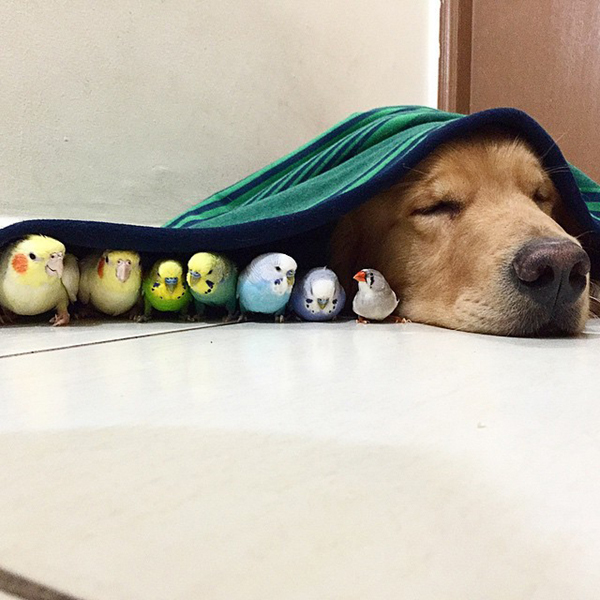 It wasn’t long before Bob, the parakeet and the cockateel were joined by six more birds and a hamster. 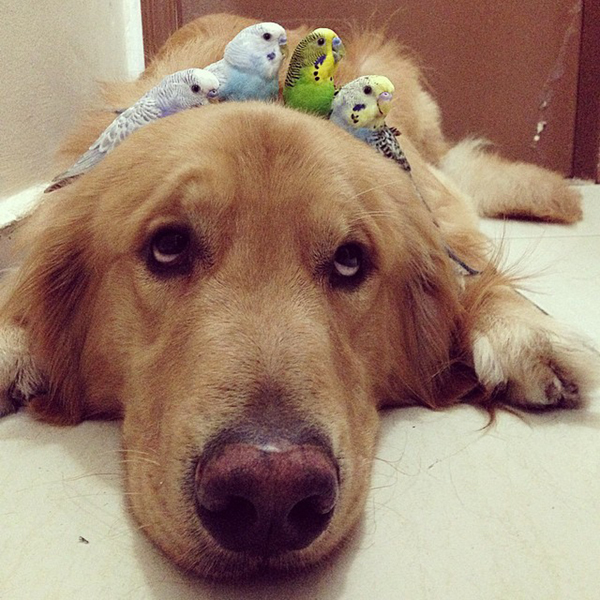 They all live happily together in Luiz’s home in Sao Paulo, Brazil. 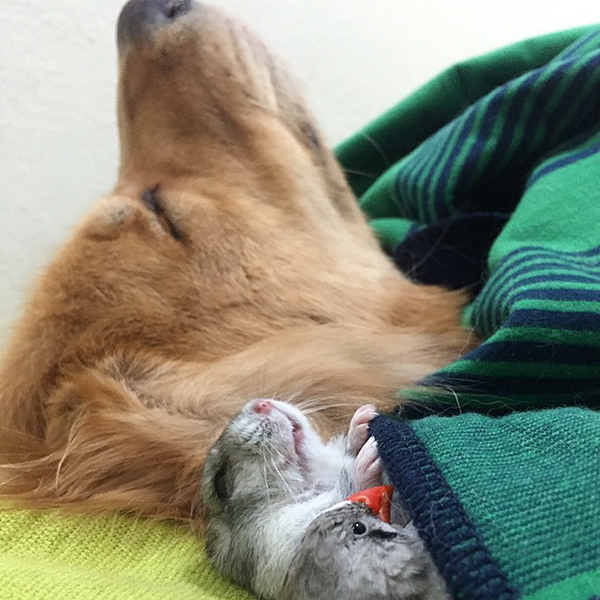 “Since the beginning they have lived side-by-side and it has been so nice to see how they have behaved together,” says Luiz. It’s hardly surprising. 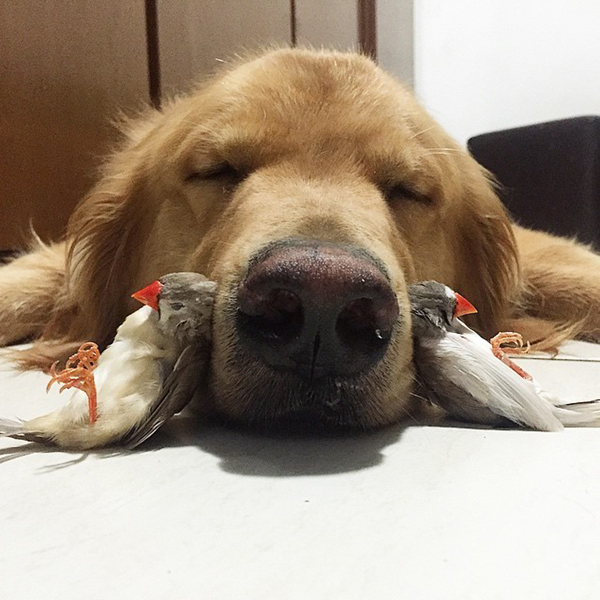 Since they were first bred in Scotland back in 1865, Golden Retrievers have had a reputation for being gentle, friendly and highly trainable dogs. 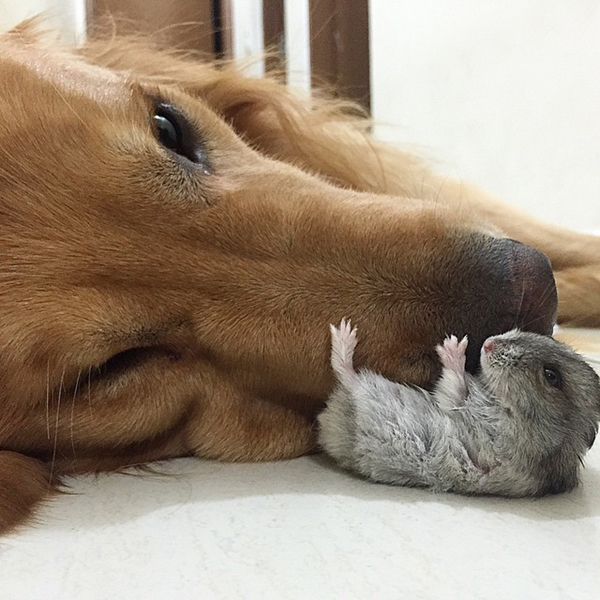 Their playful nature and high levels of tolerance make them ideal pets in homes with children. Or, as is the case with Bob, in a home filled with birds and a hamster! Next articleDoubt A Crow’s Intelligence? You Won’t After You See This Amazing Video!